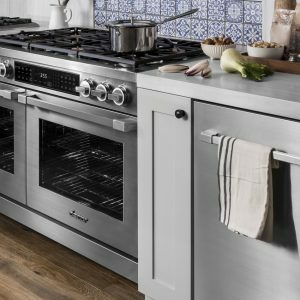 Dacor ranges turn memorable meals into unforgettable nights with the power, capacity, and surface space to welcome even the largest parties. 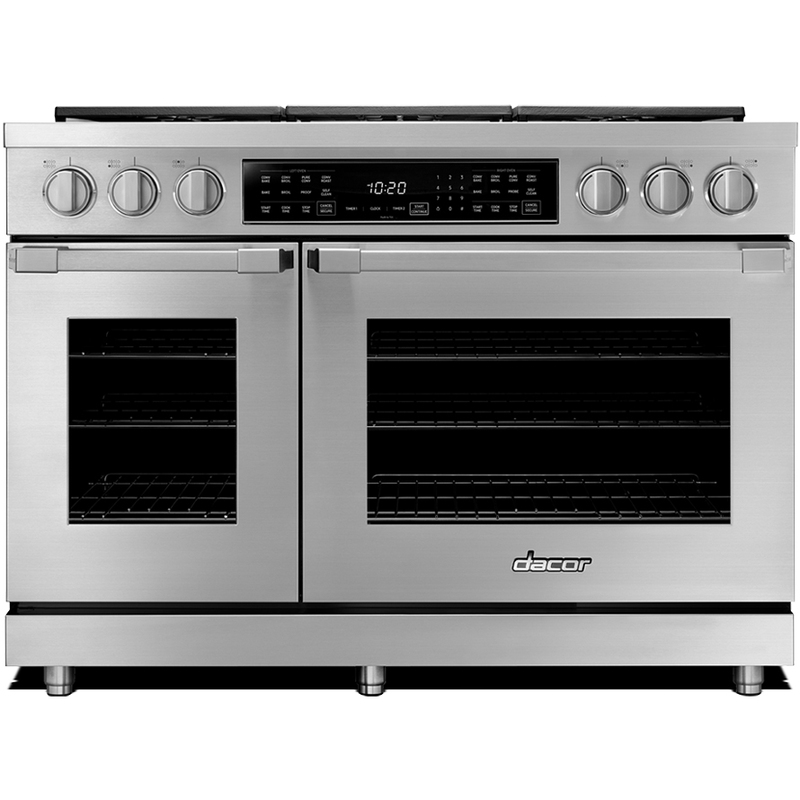 Get the best of both worlds in Dacor’s pro ranges. Features range from Real Steam that offers a healthier, factor and more versatile preparation combined with the power of convection to their dual-stacked sealed burners that are powerful enough to sear meat yet precise enough to melt chocolate. 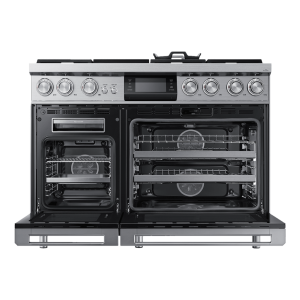 Their Four part Dual Pure Convection Oven can cook different types of food without odor transfer or uneven cool or hot zones. 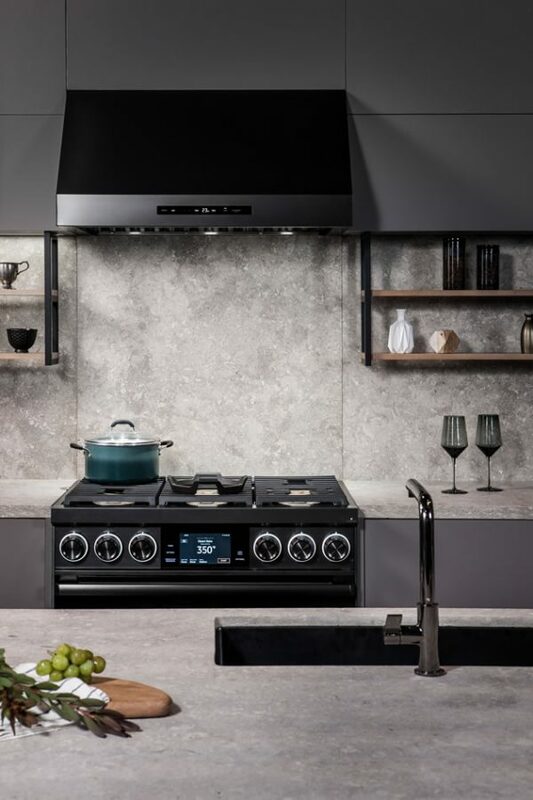 Warm and sophisticated ambient lighting compliments their Illumina Knobs while BrightVue interior lighting gives everyone a peek into the cooking process. 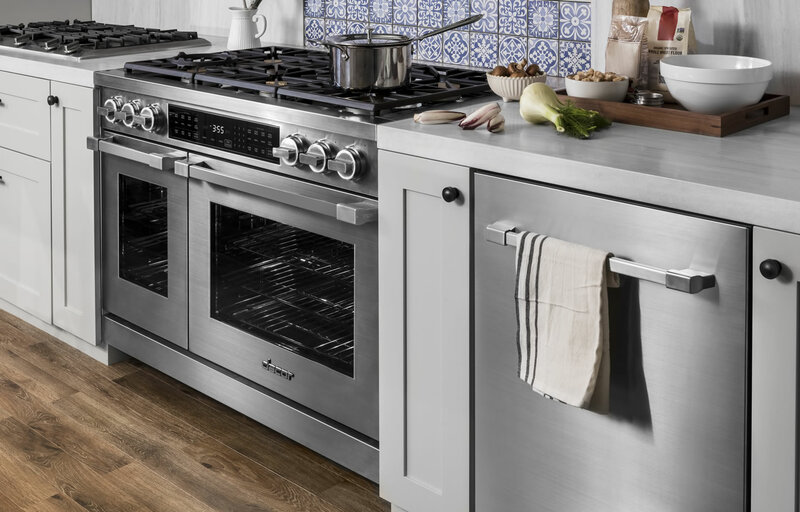 SoftShut Doors and Glide Racks keep things running smoothly and built-in WiFi gives you complete control even when you’re away from the kitchen. SimmerSear Burners give you total control. 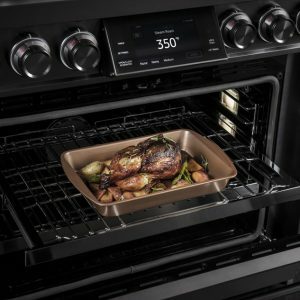 Perfect simmering or perfect searing? Just say yes. 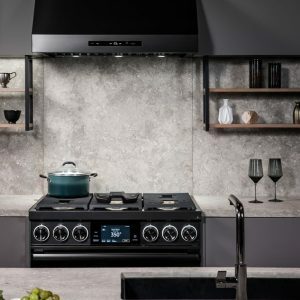 Simmer, sear and sauté with the utmost control, thanks to Dacor SimmerSear Burner, which also includes a melting feature. 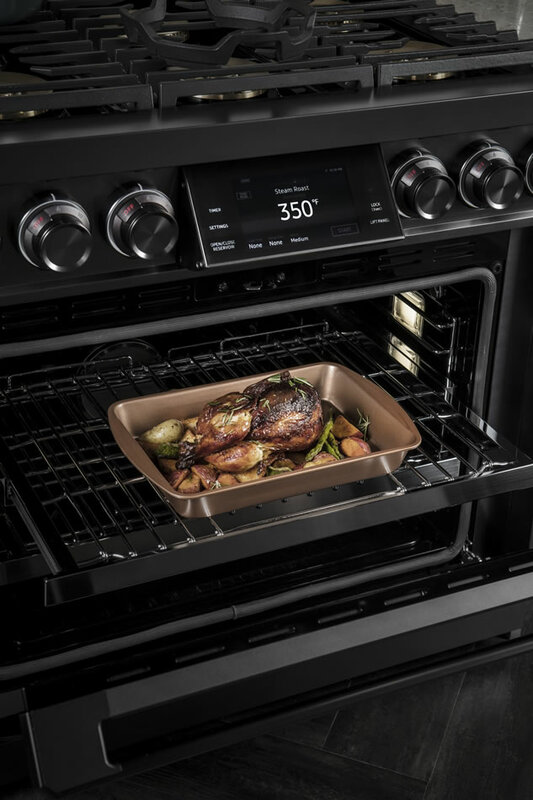 Precise control at ultra-high or ultra-low temperatures means superbly delicious results every time. 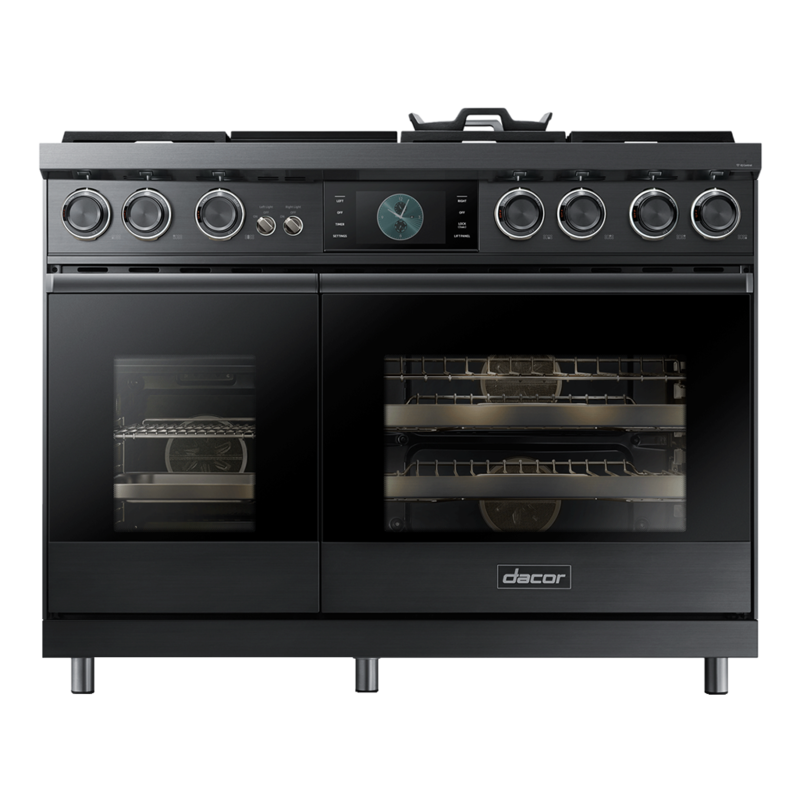 Illumina Burner Control are unique to Dacor with their signature glow, pair easy control of each burner with a modern luminosity that always looks cool even at ultra-high temperatures. 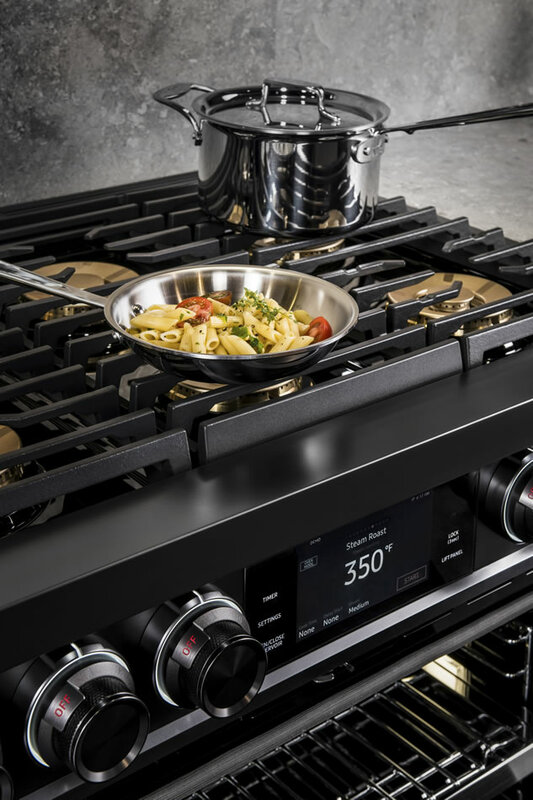 Standard Griddle Interchangeable Accessories provide flexibility without removing the existing cooktop grates. 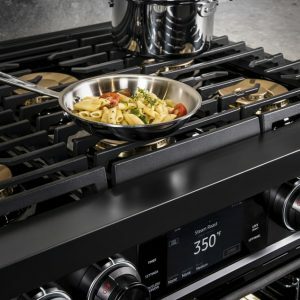 Enables users to quickly reconfigure cooking surface.